Switched at Birth has added another major player. 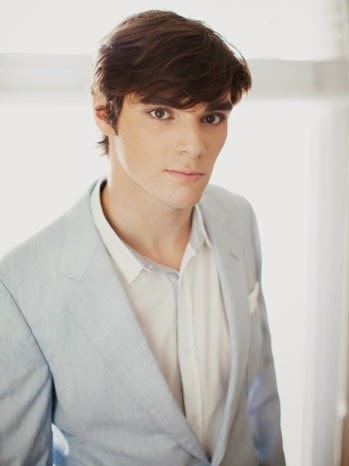 Breaking Bad star R.J. Mitte (pictured), who just wrapped his run on the critically acclaimed drama, has been cast in a recurring capacity in the 20-episode third season of the Peabody Award-winning ABC Family drama, The Hollywood Reporter has learned. He will play Campbell, a pre-med college student paralyzed by a snowboarding accident who works at the free clinic alongside Daphne (Katie Leclerc). Creator Lizzy Weiss also tweeted out the casting Thursday morning to her followers on Twitter, writing, "We are thrilled to have him." Mitte's breakout role was portraying Walt Jr., aka Flynn, on Breaking Bad for the entirety of its run, which drew a monster 10.3 million viewers to its Sept. 29 series finale. Other credits include a guest spot on Vegas. He is repped by Bauman, Redanty & Shaul and Main Title Entertainment. Switched at Birth returns in January 2014.